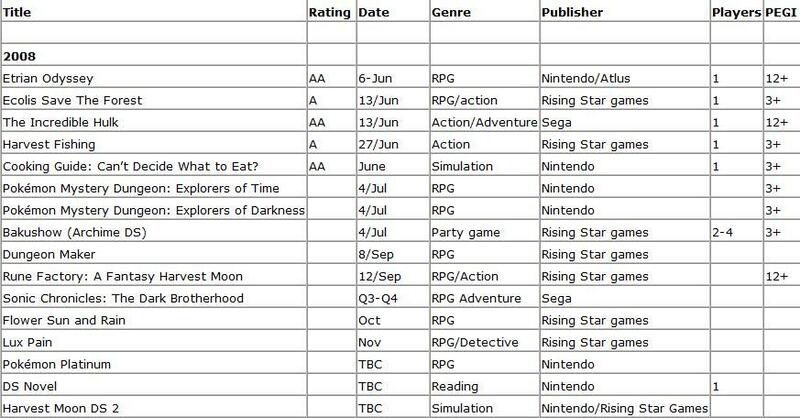 ESRB updates – ASH coming to the U.S.
21 May 2008 – Get ready for a double treat this summer as the season is set to be full of tasty food and colourful new Nintendo DS Lites! Preparing breakfast, lunch and dinner with Cooking Guide: Can’t Decide What To Eat? on one of three exciting new Nintendo DS Lite colours of Red, Turquoise or Green – a European first for that colour – is set to be a whole new mouth-watering experience! Cooking Guide: Can’t Decide What to Eat? Goes beyond the capabilities of printed cookbooks and literally talks budding chefs step-by-step through all the processes involved in cooking a tasty dish. With its numerous international recipe choices, dish search options, videos and simple step-by-step guides to choosing, preparing and cooking a dish, Cooking Guide: Can’t Decide What to Eat? can turn even the most hesitant of cooks into confident chefs. Cooks control the software through the Nintendo DS’s Touch Screen and by the user’s voice via the handheld’s microphone. It is simple for everyone to use, no matter what their previous experience – either with a Nintendo DS or in the kitchen! I’m not too sure as to why an IP owner would not allow a game to appear on the Virtual Console. It’s pretty much a win-win situation for the owner and gamers. On the other hand, I can understand the legal issues involved with the Virtual Console selection process. Are the problems mentioned by Mr. Fischer really the reasons as to why we have not seen Earthbound on the Wii Shop Channel yet? 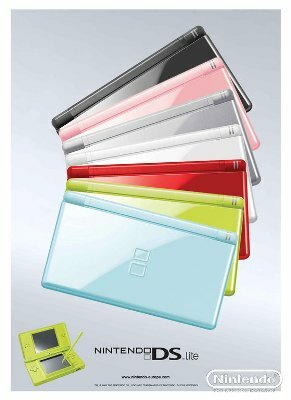 Perhaps in an effort to continue their ongoing momentum, Nintendo has announced three new DS Lite colors will be releasing in Europe: red, turquoise and green. Gamers can expect the new colors to show up at retailers June 13th. Nintendo has bluntly admitted – more than a few times – that Project H.A.M.M.E.R. was shelved. Because of this, people have given up on what appeared to be a unique title. However, an updated European release date listing shows that Project H.A.M.M.E.R. is still alive, and oddly enough, still on track for this year. It’s difficult to believe that the game is still in development and even has a chance of coming out this year based on the facts, but knowing that Project H.A.M.M.E.R. is on this release list is an encouraging sign. Also worthy of note on the list is Animal Crossing, Disaster, Wii Music, and Pokemon Platinum for the Nintendo DS. While Beautiful Katarmai was never actually confirmed to be coming to Wii (strong hints pointed at a release, however), we now know that any possible project involving Katarmari is no longer in existence. Walmart sent out emails to its customers, informing them that the game has been canned. 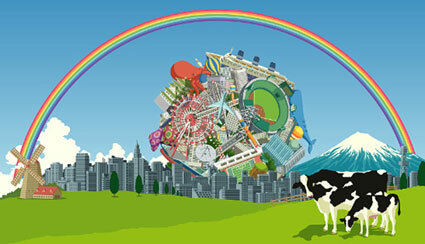 It’s a shame, since the type of gameplay found in Beautiful Katamari would work very well on Wii.